Nixie is a flying drone that has a camera built into it. 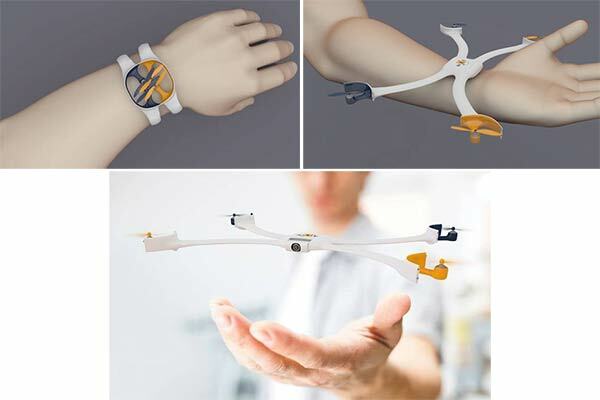 It flies around and tracks your movement and is completely controled from your smartphone. Perfect for sports individuals. The device is first worn like a wearable wristwatch, then when you need it to fly, just press a button and it would take off, following and tracking your movement. The video recording can be watched in real-time via the smartphone app. The Nixie drone is currently in production stage and will hopefully be finished soon. This is the coolest product I have seen this year. It would be amazing if they are able to finish production. The makers have a website at FlyNixie where you can signup to be notified when the product get released. You can check out the demonstration video below.